There are two ways to do AVI movie captures, either in-game or a matinee capture through the Unreal editor. This document covers both of the capture techniques and their uses. Specifies whether the capture will be output to an image sequence or a video file. Specifies the resolution which the matinee will be captured at. The larger the resolution the longer the capture will take. The frames per second that the matinee will be captured at. 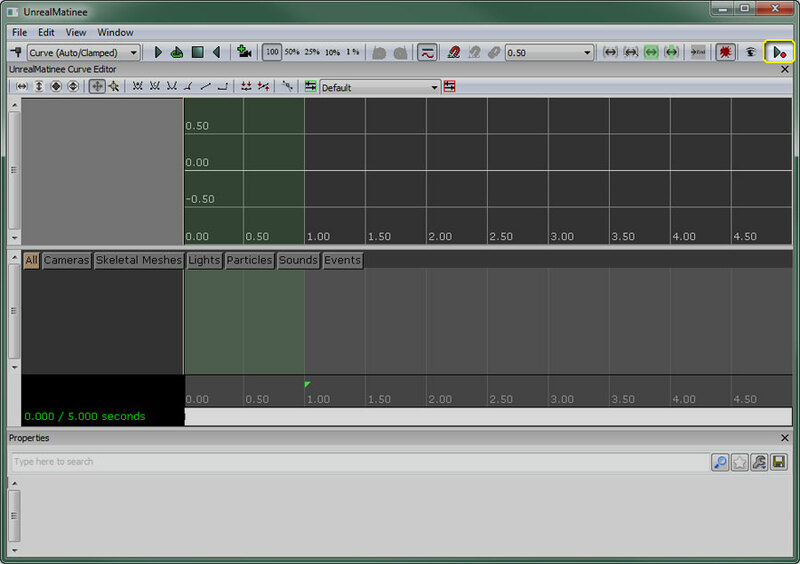 If enabled, the editor will close once the capture starts. 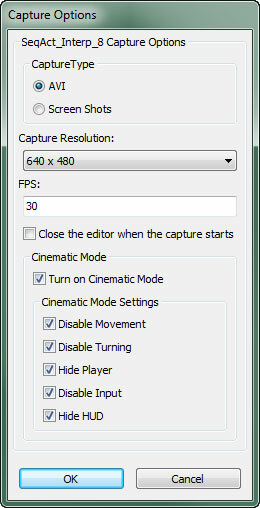 If enabled, the game will be put into cinematic mode when the capture starts according to the settings below. Disable Movement - If checked, player movement will be disabled. Hide Player - If checked, the player's mesh visibility will be toggled off. Disable Input - If checked, all player input will be disabled. Hide HUD - If checked, the HUD's visibility will be toggled off. Audio capture is not currently supported with the movie capture feature. See the Capturing Sound section of Capturing Cinematics And Gameplay for more information on capturing, editing, and compositing sound with the captured video or frames.